The Living Archive of Underground Music: George Charpied " The Global Cassette Community in the 1980's/ After and Into the Digital Age"
George Charpied " The Global Cassette Community in the 1980's/ After and Into the Digital Age"
Here’s a piece by writer George Charpied on some of his early experiences but also a fleshed out perspective on the scene in its glory days and then what came after. What follows is a brief memoire on my involvement with a global community of artists who use the Postal Service, the then relatively new technology of home recording using cassette tapes, filling tapes with their own artistic expression, then distributing world-wide where distribution was the equivalent of one dollar postage. When musical artistry was mobile and entirely acoustic popularity relied on tired and true motifs, ideas and accepted topics (Valentino, 2017). With the recording age what could be expressed evolved from the music of church to the blues, from the clubs and brothels to records, from the living rooms and house parties to stage and radio, and from the advance of the electronic age to acoustical experimentation (Wildstrom, 2015; Lynsky, 2015; Trammel, 2005; Vickers, 1984). Then the advent of the concept of self-producing and distributing one’ own creation took hold in the 1980s, likely from the punk scenes ‘DIY’ (do it yourself) ethic and the impetus it gave to creative types around the world. And, for me, it was a fascinating story. This brief report is about the first stage of the progression of popular music, the performance. In it I will discuss my three year involvement with the ‘cassette underground’ of artists and self-producers whose obvious abundance of talent and originality created a global interactive network for interested listeners that was fueled by independent music magazines like OP, Maximum Rock and Roll, Sound Choice, EAR, and many others that were sufficiently differentiated from Rolling Stone and Spin to make them viable to a small but avidly interactive global audience. 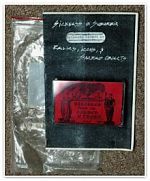 These small magazines, cassettes and recordings differentiated themselves from the more widely read music magazines document offerings and records of the progress of popular music to its inevitable devolution as spectacle. 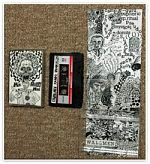 Some opf the contents of the cassette underground were stunning, both for their creativity but and the artwork of packaging, labels and mailers. I produced a short lived magazine, The Global Community Cassette Quarterly. The magazine was the size of the cassette itself and included with each mailing a mini-zine of listings, essays and photos, and a cassette of samples from the materials I received from around the world. All of it was stuffed into an envelope and mailed away. For me, what the global cassette community reflected was the transitional content of what was coming, rather than addressing what was on tapes by major record labels and their distribution networks who would never talk about the past as anything more than preparation for change. This isn’t to say that there weren’t exceptions of individuals or groups who pushed the envelope of popular music. George Martin and the Beatles, Brian Wilson and the Beach Boys, Robert Plant of Led Zepplin or even the Rolling Stones, as a few examples. Popular music may be said to have a set of developmental stages go through (Valentino, 2017). These include the performance, the theater, and the spectacle. In simple terms, popular music appears to have the following stages: Performance: Think of going to a coffee house, a Friday house party, or a local venue and seeing some talented artist who had absorbed influences from his or her past, melded them into their own expression, and played anything from an acoustic set to industrial noise. It is an exhilarating time. It should be clear that the participants in the cassette underground fall into this category; Theater: The artists one saw the previous Fall, let us say, now has a following, venues grow, some have mass media exposure, may be a record, and even a contract. One likes to see the performance artist make it, but for some it is a make or break transition. It also is a time when emulators begin to occur and it diffusion and dissolution, Spectacle: By this time the shows are huge, stadiums and large music halls, there are many emulators, and the music ceases to be performance. There is a routinized nature of predictable stage shows, a separation between audience and the artist occurs. The artists and their initial stimulus, is set for an inevitable decline in vitality. Performance is the early stage. It is primitive, naïve, nascent, where earnestness and sincerity account for more than virtuosity. Out of this milieu we find those who are aware of their talent and genius becomes apparent. Blues, folk, jazz, electronic, garage bands, and the like, are found in this stage performing in isolated, sometimes dingy outlets and making sacrificial tours at the expense of mind and body. In this stage it matters whether some performers are inventing something new, updating what came before, or fulfilling a need to express in new terms the genre. What is important is that whatever influences one draws from is a progression by reframing several influences, genre, or other artists. The next stage, theater, is the stage where the result of the performance is formalized. The stage presence and song writing, instrumentation and singing are developed and refined. Even the use of recording systematics plays role. The genius elements begin pushing the limits of their early influences and performances. Styles shift and elaborate to produce a more accessible performance on stage and there is a diversification of by other artists and their interpretation of what is the genre introduced by the innovator’s performance. Audience appreciation grows. The performance is no longer sufficient as artists and the talented begin organizing their performances as shows. Think of British power blues as an evolution of country, city and urban blues that became early forms of rock and roll, or newer performers taking on Buddy Holley and Elvis Presley by expanding on their innovations, and a recording industry growing up to service popular demand. The final stage is spectacle. This is the third iteration of the first stage and usually has a second generation of musicians, lyricists, recording engineers, and so forth. This is to the point where the initial impetus, simply to perform, is lost in the hub bub of arenas, multimillion dollar tours, elaborate stages and their special effects, and the rise of the specialist. It is a time when going to a concert of a band or an artist is not so much to witness performance, identify talent that is original and innovative, but just to ‘experience’ the event. No longer is performance the main draw. Rather being there is the reason for the show. Arena rock, (Woodstock, Lallapollooza, Coachella) are elaborate events, much like variety shows and Big Bands of aging musicians recalling artists of our parents or where fathers play with sons creating dynasties of watered down enthusiasm and content. Today we daily witness to this stage that dominate popular music which is wholly controlled by the music industry and its effort to maximize return on its investment. The cassette underground was, for me , in its performance stage. Popular music, what I know best and experienced most, has over the fifty years I’ve been an informed listener has gone through a series of stages. These stages typically set the stage for what follows. As example, rock and roll had three streams of influence, the blues (country, city and urban), folk, and the swing bands of the ‘Chitlin Circuit.’ Even the rockabilly bands bubbling up out of country western quickly adopted the style and music of early rock and rollers like Buddy Holly and the Crickets. (by the way, I highly recommend Billy Bragg’ historical tome on British rock and roll origins, Roots, Rockers and Radicals (Bragg, 2017)These streams coalesced into British ‘power blues’ and ballad singers of various sorts. The Beatles and the Rolling Stones are but a few of those who took their initial influences and produced original and interesting music. I remain a fan of guitar-driven rock and roll. As I went in search of something more than the fare on AM radio and the subsequent burgeoning FM formats at the time, I visited record shops (RRRecords, Lowell, MA; Esoteric Records, Sacramento, CA), and found popular music in all its stages of progression. 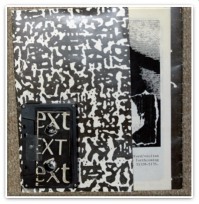 What I found was experimental music of all sorts, difficult music, Industrial Noise, artists playing around with recording systems, instruments, lyrics, and even vocalizations. They got my attention. It was elemental in its nature and an unstructured exploration of sound. What I was hearing was what Brian Wilson was working towards, a tone poem, if you will, where two instruments could be processed to sound as one, where distortion and feedback were not something to fixed but part of the sonic environment of the composition, and where sounds found in the natural environment could be employed to create an auditory experience. College radio stations were perhaps the best exemplars offering an outlet to folks like myself who wanted more from standard commercial broadcasts. 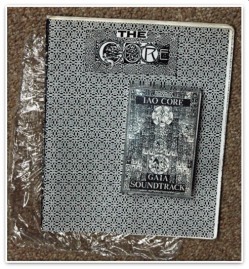 Where does global cassette fit in popular music? As stated, I got started on the idea of the GCCQ while working with David Ciaffardini to was publishing Sound Choice, located in Ojai, California. I got a good understanding of what was necessary to get out a regular publication. Ciaffardini, an amiable, razor-sharp entrepreneur who was totally committed to the underground, began his magazine after John Foster offered up his magazine, OP, when he reached the letter ‘Z.’ Foster’s magazine spawned several other underground and not-so underground efforts. Ciaffardini taught me elements of editing, production, and writing. I wrote some articles, did some simple artwork, cassette reviews, went to several shows (including Eugene Chadbourne’s Shockabiliy; brilliant), and interviewed Lydia Lunch (driving into Los Angeles after setting up the interview, and was closely watched by James Thirwell). It was an exposure to vast global network of artists and compliers contributing to the cassettes underground. See Table 1 in Appendix I. While working at Sound Choice I got the idea it would be great were we able to produce a sampler of selected submissions. Part of the reason I saw utility in producing an audio magazine to compliment the printed one was that most of what I was listening to required the auditory experience to truly appreciate what was on offer. I produced a proposal. Though David thought it was a good idea, his concerns were that being an essentially two person operation, a second effort might be too much and the additional cost would bite into an already limited income. Besides, there would be the work of obtaining permissions, selection of what/who to include, preparation of masters, copying and distribution (though I argued inclusion with magazine mailing would add little to overall cost). He was being pragmatic. Around this time I obtained a full-time job in upstate Sacramento, working as a laboratory staff research associate. I took leave of Southern California and returned to Sacramento where I had earlier completed a Masters in Neuropathology and the living was easy (ambient temperature seldom went below thirty degrees Fahrenheit but could reach 110, it was less congested and was amenable to bicycling). The job gave me both a substantial income and the opportunity to explore the proposal of an audio sampler. Work on the GCCQ began in earnest. See documents in Appendix II. Since I’d spend the year previous making making ‘mix tapes’ of my vinyl LP collection and tapes from the Sound Choice catalogue I realized that I’d I’d already established the outlines. Aslo, I discovered that approximately 18% of the contributors to Sound Choice were compilations (more than 3 collaborators or contributors) the GCCQ would follow suite. However, few were doing more that providing a venue for those included with some opportunity for contributors to provide, in their own words, promotional content for their work. Further, few had anything more than spoken word, but no interviews of artists or groups (not counting the mini-zines). 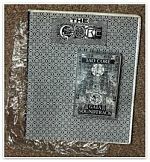 GCCQ was aimed at addressing that part of the cassette underground not already being served and provide a compilation of sorts, but in magazine format with photos, stories, commentaries and listings of things like radio stations that would provide airtime. 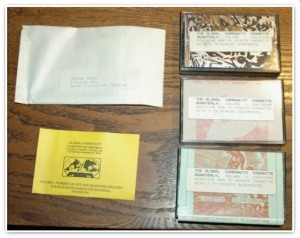 For my part I got myself a show at the UC Davis campus radio station and aired the magazine and tapes I was receiving. The GCCQ really came to life during while I was a DJ for a late night radio show. From where I stood at the time, the cassette community was essentially an underground movement removed from the theater and spectacle of then popular music. 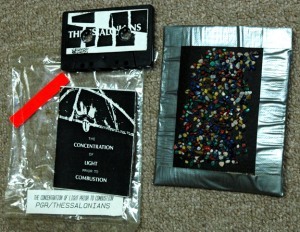 In 1985 I produced 2 compilations and nine sample GCCQ cassettes. With a mid-range, in cost, dubbing cassette recorder and a little patience one could produce decent quality programming on the cassette, not too different from Fine Lines. In fact David and I got ourselves involved with a college campus radio station KUSB, at University of California, Santa Barbara (UCSB) as a way of promoting both the Sound Choice and what we proposed for the GCCQ. Radio has a long and distinguished role in promoting new ideas, new people, and new music (Gilbert, 2017; Able, 2015; Clause, 2015; Mesce, 1987; Yoder, 1996; Fortantale and Mills, 1980). Radio was the first to use the helicopters to report on traffic and unfolding events (Joiner, 2009). For years I had been reading many of the periodicals I’d come across to keep myself informed and up to date on popular music. See Table 3: Magazines consisting of or commenting on music. The problem was that the publishing industry aimed at music was itself going through a progression. Hence a shake out of the many publications was occurring nationally. This caused a natural drift towards was popular to the widest audience. Increasingly, music journals were finding themselves focused on the same bands and personalities, as well as an increasingly larger space given to gossip not necessarily related to music, some meaningful and some not (Wikipedia, 2017[a, b]; Flanagan, 2017; BBC News, 2017; Gray, 2017; Lynch, 2017 [a, b]; Doyle, 2016; Parsons, 2015; Roberts, 2016; Wheeler, 2016; Lynsky, 2015). There were other music magazines out there. In my archive alone there were then at least fifty weekly and monthly publications on, about and mentioning music. 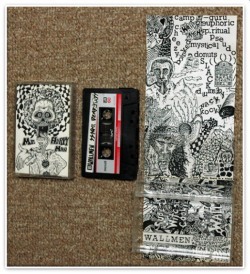 The cassette underground permitted the exploration of all aspects of human creative potential. In most cases it was distributed in an analogue medium globally by its very creators. There is a large body of study and commentary about the kinds of experimentation that occurs in performance phase of a new art from, including those of traditional rock & roll, folk, protest, difficult/noise, and all the rest one finds on the audio tapes mailed around the world (Wikipedia, 2017; Trammell, 2017; Wheeler, 2016; Roberts, 2016; Lynsky, 2015; Harkey, 1989; Jugel, 1987; Vickers, 1984). 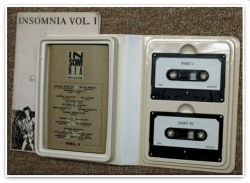 In fact, the cassette underground was a harbinger of the digital age when anyone with a computer, a microphone and the desire to see a project through could have an audience. Below is a listing of all the material I received in those years of publishing the GCCQ. As 1989 opened I was surprised to find that I had been accepted to do graduate work. Along with that I made a fateful decision to marry. I say fateful as the marriage was awful and lasted only until after we drove off to Memphis, Tennessee. Also it is important to mention I found I couldn’t keep up with the growth of the GCCQ. Each year mailings and word seemed to get around. More and more material came into the rental I had at 1124 22nd Street across the street from the stadium of Sacramento Community College (the place I watched Suzy Favor set a national women’s record for the mile). Problematically, I found that consumer electronics, especially dubbing cassettes, were not made for making mass copies of one cassette to another. In my case, when the magazine was thirty to fifty copies, it worked well. But as numbers went up the dubbing machines continually broke and I couldn’t afford to keep buying new ones. I tried making a master on the then new technology of high definition VCRs, which worked much better at ‘programming’ a master by given ‘virtual’ digital control over the production process that with the cassette. But eventually that system broke too. High end cassettes were also a must for reduced noise, fidelity and dynamic range. Also, people would come in wanting to work on the GCCQ and would show for some aspect of the publishing process but not show again the next week. So maintaining a dependable labor pool was difficult. Most were asking for pay which was clearly not an option at the time. That and my wife’s derision over the project slowed the evolution of the GCCQ. The move to Memphis offered additional schooling and contact with some individuals I knew of (Mystery Hearsay and Alex Chilton). I had been working at a local college station, KDVS, in Davis, CA, and KCSB, in Santa Barbara, CA, where I would play tapes sent me. While in Memphis I provided Hinton with copies of the magazine and made ‘mix tapes’ for his show. I never got to meet Chilton. Once I completed my graduate degree I moved to Boston, Massachusetts, and spent several successful years in a wonderful city with a checkered history. As the GCCQ came to an end I still had an itch to publish. There was also the transformation of broadcast, whether via radio, television or the printed word to deal with (Dietz, 2015; Parsons, 2015; Waters, 2005 [a & b]; CNN.com, 2004). Radio was still a strong option as it was growing (Clause, 2015; Rafferty, 2014). The implementation of the new technology (i.e., use the Internet and emailing, and the supremely easy process of digital production) made publishing a simpler but no less time intensive process. The time required was not there just then, what with work and family responsibilities, and would not permit a full blown project. It could wait for a more opportune time. Two things changed my mind about the time constraint and the process necessary. First was reading the book, The Prize Winner of Defiance, Ohio – How My mother raised 10 kids on 25 words or less (Terry Ryan, Simon & Schuster, 2001). What caught my attention was the center of the true story, Evelyn Ryan, whose motto was, to paraphrase, if you want to do something, there is always time. I’d already been sending out cassettes and CDs of compilations to friends and family. The second thing was the ability to use the tools I already had, a PC, a laser printer, and ow cost materials. 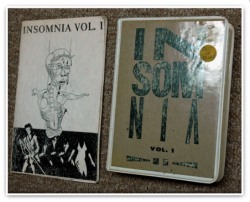 That time did come, when I realized I had been writing short stories and commentaries, doing artwork, and had a huge library of vinyl, DCs, VCRs, DVDs and books on the topics that interested me. The opportunity was there. So, why not? I needed only seize it. 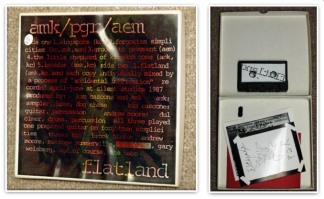 Similar to what others had done with the cassette, and now CD and DVDs, I would publish my own material digitally. I set a plan of writing short stories, novellas, novels, plays, doing artwork, collecting ‘found images’, digitizing video snippets and ‘golden age’ cartoons and newer computer generation animations. If I gave myself sufficient time and picked away at it over the space of a year, it could be done. At the time desktop computers were going through the third revolution in its development. That was what was called ‘multimedia’ (the fourth and fifth being the ‘internet of things’ and growth of search engines combined with wireless communication). Multimedia meant at the time the ability to combine all types of media (i.e., text, audio, video, photos, animations, and so on) that can be digitized on a computer, formatted, placed in a single form, and distributed via snail mail or electronically by way of the Internet (‘peer-to-peer’ programs such as Napster helped in this). I chose the former, as I could send an overall sizably larger material as a file via the mail on a CD or DVD. The that topic of my involvement in the cassette underground, and my perception of the three stages of the growth of popular music inevitably lead me to continue my efforts in the digital format. I talked about the topics of corporate music industry, rise of FM and pirate radio, role of technology in fostering the rise of performers, and how we are now in the phase of theater and spectacle. I am confident there are performers out there at coffee shops, house parties, and small clubs working on an incipient new age of music. I do believe that the ‘Internet of things’ has gotten coopted by corporate control, political shenanigans, trolling, and hacking sabotage. Yet the ability of any artist to have a global audience of a few thousand simply by blogging, podcasting or distributing their creative output digitally is poised on the precipice of change. For me, I’ve satisfied myself writing short stories, novellas, novels and essays and non-fiction on topics of interest me. Below is a tabular listing of my work since 1989 which were sent out to family and friends and a few interested fans. See Table 2 in Appendix I. As I said at the beginning, my role in publishing the GCCQ was, for me, a fascinating story. I hope you’ve found the story contained herein fascinating as well?